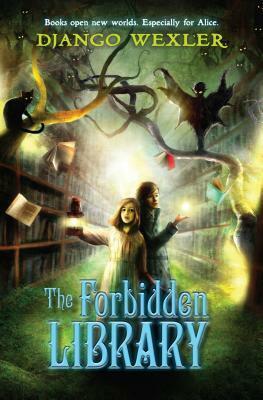 The Forbidden Library is a must-read especially for fans of Harry Potter, Inkheart by Cornelia Funke and Chris Colfer’s newer The Land of Stories series. Alice’s perceptions of reality are turned upside-down when she stumbles upon a fairy (not a nice one) in heated conversation with her father. When her father disappears four days later Alice is taken to live with an “uncle” she has neither heard of nor met. The forbidden Library of the title is where Alice is first pulled into the pages of a book. It is no ordinary book. Rather, it is a prison-book, created with powerful magic to imprison dangerous monsters rather than allow them to be unleashed on an unsuspecting world. Her “Uncle” Geryon is not what he appears. Talking cats, a mysterious boy, a frightening hulk of a servant and the original nasty fairy provide an intriguing cast of characters. The suspense is taut from the first page to the last as Alice is betrayed and helped by characters she first believes are allies and those she believes to be enemies. Alice does not know who to trust–and neither does the reader. Her search for the fairy she is certain caused her father’s disappearance (and probably his death) brings her into frightening worlds populated by terrifying creatures and the moral dilemmas the use of magic creates. Alice is thoroughly likeable: a strong spirit, determined and insightful. She is easy to root for during her pursuit of justice and understanding. The fast pacing and brilliantly crafted suspense make The Forbidden Library a gripping and easy read.